"Visibility + Credibility = Profitability"
We at MLZDesigns, have a clear understanding of Pay-Per-Action marketing. And, as a Google certified Partner, we bring that knowledge and experience to you. Isn't it time you Partner with Stability? Reach your full potential. Schedule an appointment with one of our online consultants and Let us help You drive Your business into the next Century. Pay-Per-Action Advertising allows you to get in front of your customers fast. And, you can target your customers right at the point in time when they are looking for your business. No more throwing advertising dollars to the wind, hoping that one day your acorn will hit a blind squirrel. You also don't have to wait months waiting for search engines to index you and reindex you, adjusting your page authority and relevance compared to similar websites. You can get in front of your customers within days. Paid Advertising: comes in many forms. You can pay for click to your website, pay for impressions, pay for acquisition (or conversion), pay others to advertise your business or service by creating an affiliate network (like Amazon), or pay for banner advertising. All of these types of advertising come in two forms: text links, or display ads. But the power of PPA advertising lies in the fact that we can put you in front of the customers who are looking for you. Unlike traditional hard-copy advertising, online advertising is not a guessing game, it is a precisely tuned instrument. It is targetable. It is measureable. Isn't it time you take the guess work out of your advertising dollars? 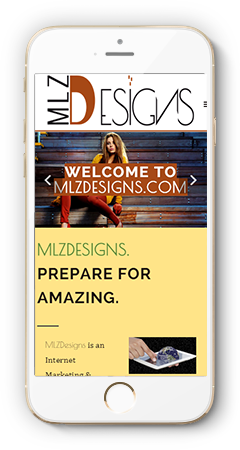 At MLZDesigns our Ad Network can take you beyond just relevancy. We put you in front of more people, more often, with greater results. Find out how you can get maximum exposure in front of the people most likely to want and/or need your services.